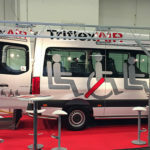 We at Tribus continually search for new and clean mobility solutions. The past year we have been working on a new project for zero emission passenger transport. 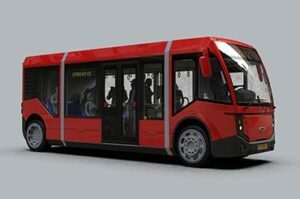 Now we proudly announce our newest innovation: The Movitas, a 100% electric citybus! 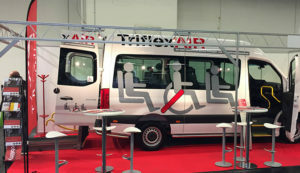 On the exhibition Taximesse in Koln, Germany we demonstrated our conversion for the new Mercedes-Benz Sprinter. The new conversion was a great succes among visitors and press. 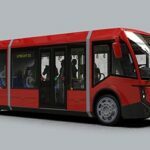 The well known platform TaxiHeute decided to release an article about the Tribus conversion. Will you visit us at IAA in Hannover 20-27 September? 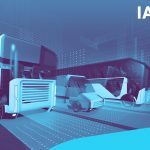 Comments Off on Will you visit us at IAA in Hannover 20-27 September? 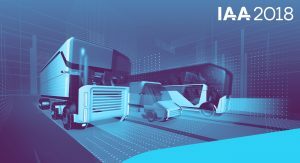 From September 20-27th Tribus will be exibiting at IAA Commercial Vehicles 2018. We look forward to meeting you in hall 11 stand E22. The 67th edition will address the question of what the future of commercial vehicle sector will be like. And in fact the whole commercial vehicle sector is on a path of innovation. 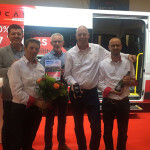 Tribus has won the Dutch Taxi Innovation Award 2017. 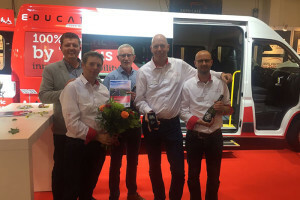 This award is a recognition for the excellence of the innovation project "e-Ducato", our fully electric wheelchair minibus. With a range of 220 km and a total weight under 3500 kg GVW (driving license B), the e-Ducato is one of a kind.